Maltaward are a leading supplier of interlocking concrete blocks for a variety of civil engineering applications using high strength concrete. 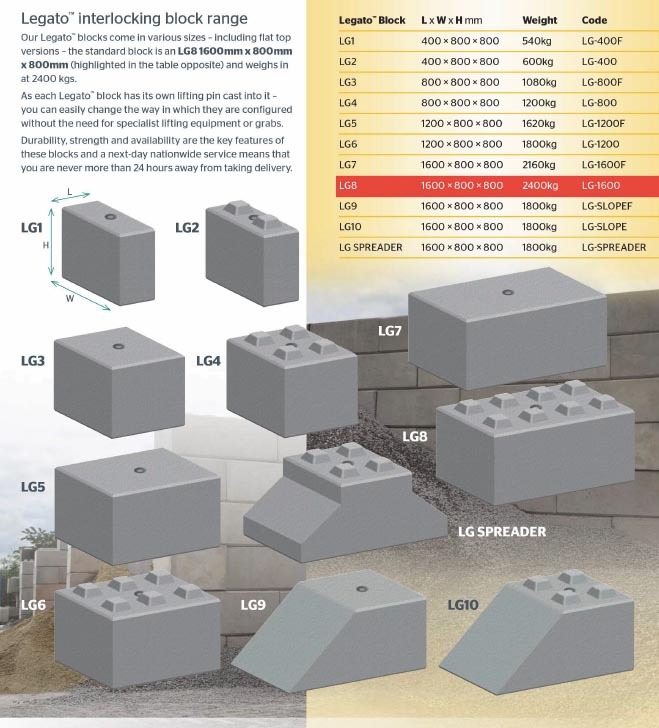 In addition, because the blocks do not contain anything other than high quality, locally sourced aggregates and Portland Cement, you can be assured that your investment will last a number of years. Assembled within hours, Interlocking concrete blocks are easily placed and quickly stacked on level and firm surfaces, creating freestanding modular wall solutions that can be moved and reconstructed at any time, providing the most convenient of industrial solutions. For more information on interlocking concrete blocks or any other concrete products, call Maltaward’s experienced team on 0800 043 2742 or contact us here.